2. Wash brussel sprouts (remove stems and blemished outer leaves) and boil in salt water (4 tsp canning salt per gallon of water) for 4 minutes. 4. Combine vinegar, sugar, onion, diced red pepper, and spices in large saucepan. Bring to a boil and simmer 5 minutes. 5. Distribute onion and diced pepper among jars. 6. 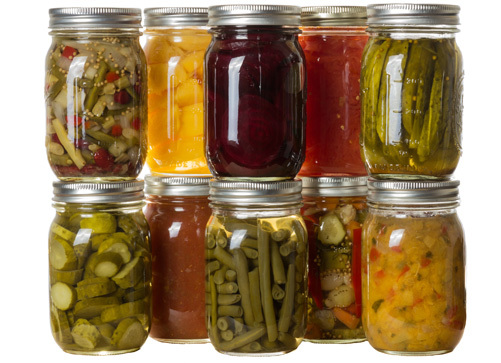 Fill jars with pieces and pickling solution, leaving 1/2-inch headspace.